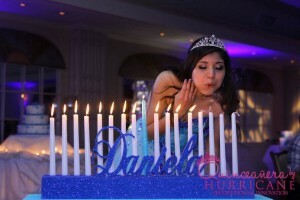 Choosing a theme for a Sweet 16 is critical when planning an event. 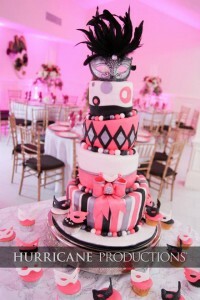 Get some ideas from trendy to traditional. 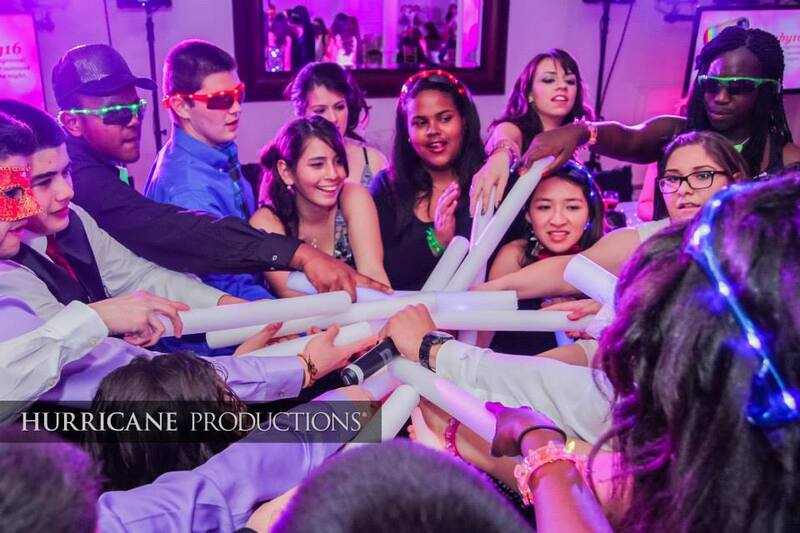 Ariana's Grand in Woodbridge, NJ hosts the best Sweet 16s, Quinceaneras and weddings in the area. 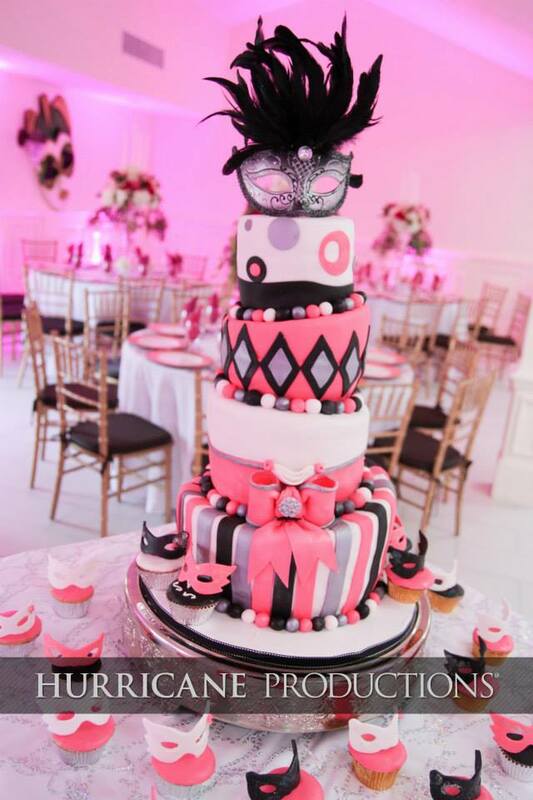 Known for their impeccable food, Ariana's Grand also offer beautiful banquet spaces for any event. 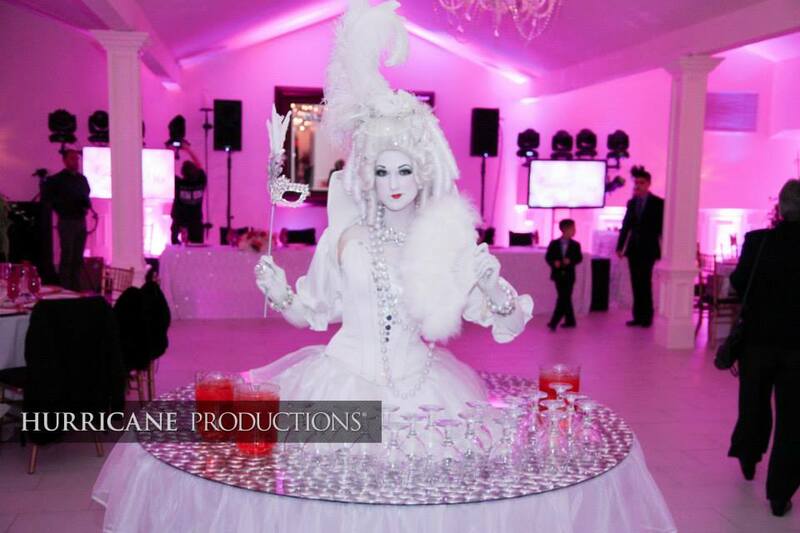 Custom in-house uplighting transforms each space into a unique environment, enhancing each event. Hurricane Productions provides entertainment, photography and video services for events at Ariana's Grand. Gabryella and her family chose Ariana's Grand for her masquerade Sweet 16 so they could completely transform the space for her guests. The space also comfortably held all her family and friends. 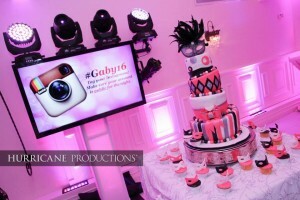 Hurricane Productions provided entertainment, custom Name in Lights, Hurricane Pulse, photo and video for Gabryella and her family. Entertainers Strato Doumanis, Robert "Maserobbiee" Padovano, and Spanish-speaking emcee Jaime Vargas had guests dancing all evening. Hurricane Pulse, an Instagram photo booth, allowed guests to use the tag #Gaby16. As the tag was used on Instagram and Twitter, the messages and photos streamed directly to the screens at Gabryella's event. 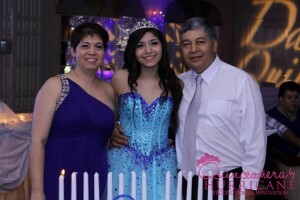 Photos can also be printed instantly and given to guests in frames as a favor. 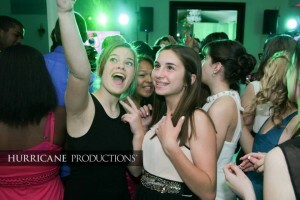 Hashtag Instagram streaming is a huge hit at Sweet 16s and weddings. 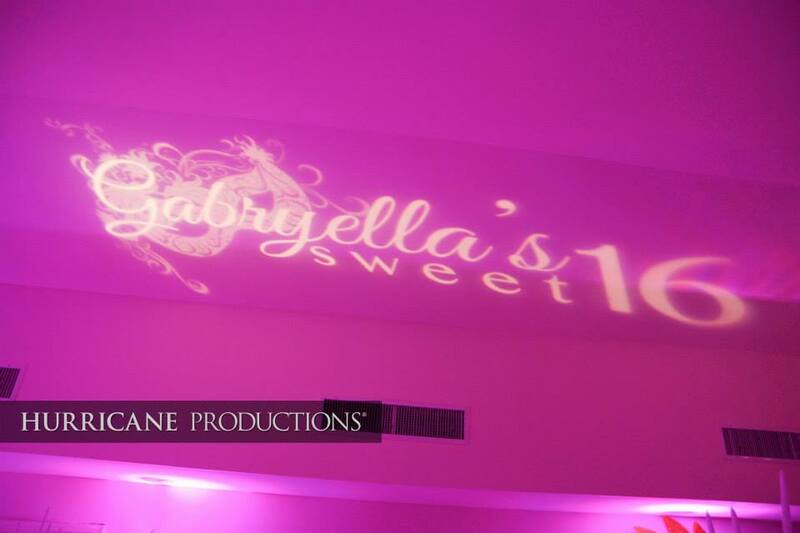 Hurricane Productions created a custom Name in Lights gobo for Gaby that incorporated her theme and style. This design was used in her custom animation on the screens, too. 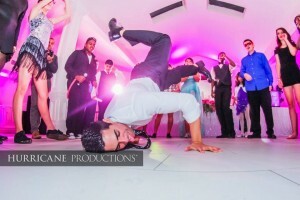 A professional photographer and videographer captured the moments from the evening with care and style. DSLR cameras allow the Hurricane media team to capture the best moments without disrupting the guest of honor, family and friends. Hurricane Productions provides entertainment for Sweet 16s and weddings in New Jersey and the tri-state area. To learn more, please submit this short form or give us a call 888-393-7066. 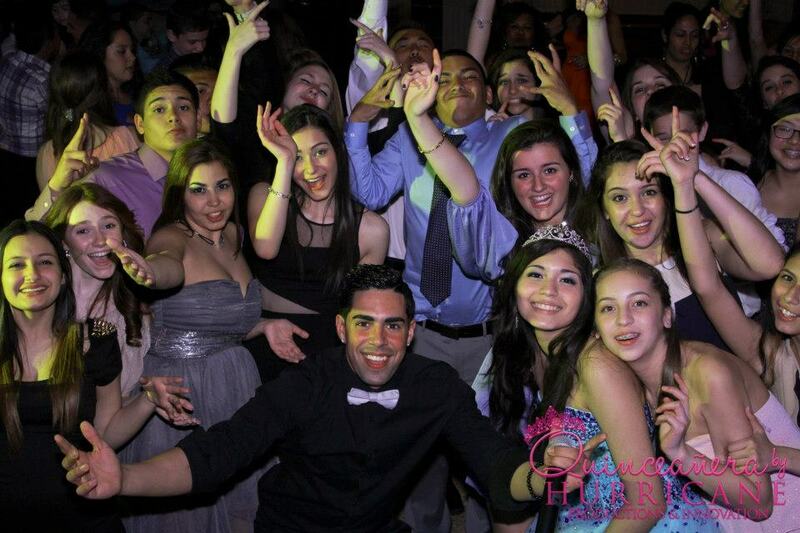 Fiesta Banquets in Wood-Ridge is a great New Jersey venue for Quinceañeras. An organized maitre'd pays attention to every detail to ensure the celebration is flawless. The friendly, bilingual staff makes each guest feel comfortable. 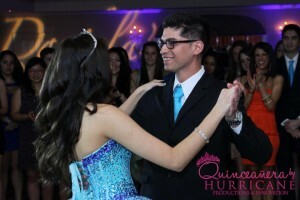 Great management from the venue paired with entertainment from Hurricane Productions makes for a beautiful Quinceañera celebration. 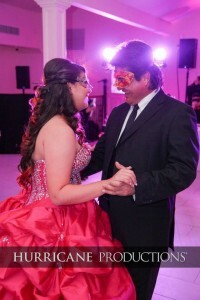 The marble dance floor in the center of the ballroom is the perfect setting for a grand introduction or a waltz. 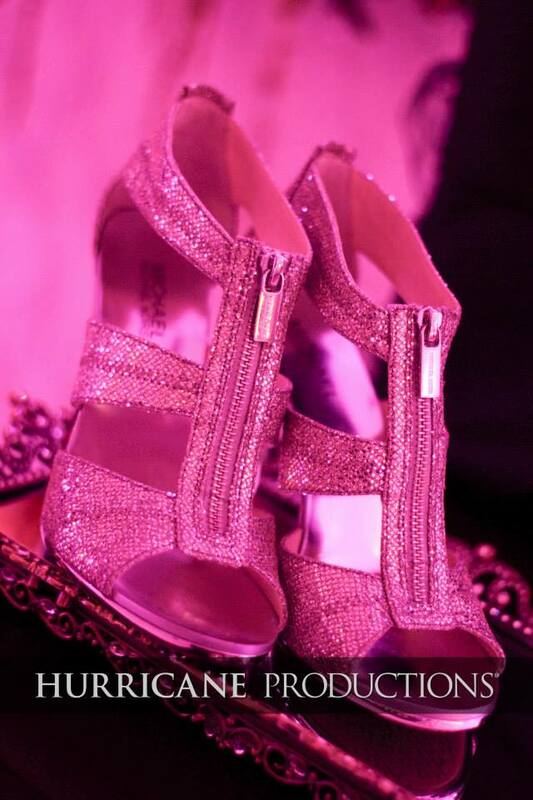 Spotlighting provided by Hurricane focuses guests' attention on the Quinceañera during special ceremonies like changing of the shoes, the last doll and the rose ceremony. Daniela and her family chose The Fiesta because of their experience and top notch service. 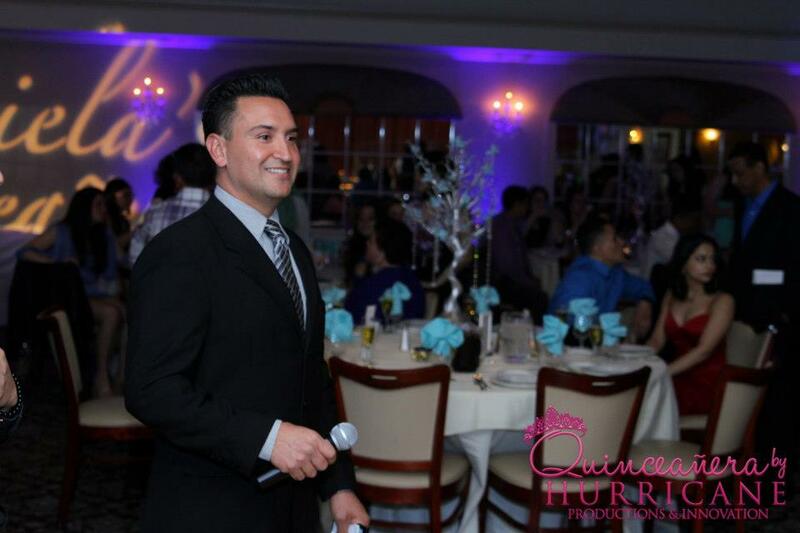 Hurricane Productions was an easy choice for entertainment because of the variety of Spanish music and organizational online planner. 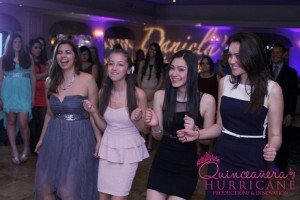 Hurricane Productions provided entertainment for the evening but also screens with a custom animation, a "Name in Lights" gobo and photography. Daniela's "Name in Lights" gobo was designed specifically for her and based on her Quinceañera invitation. 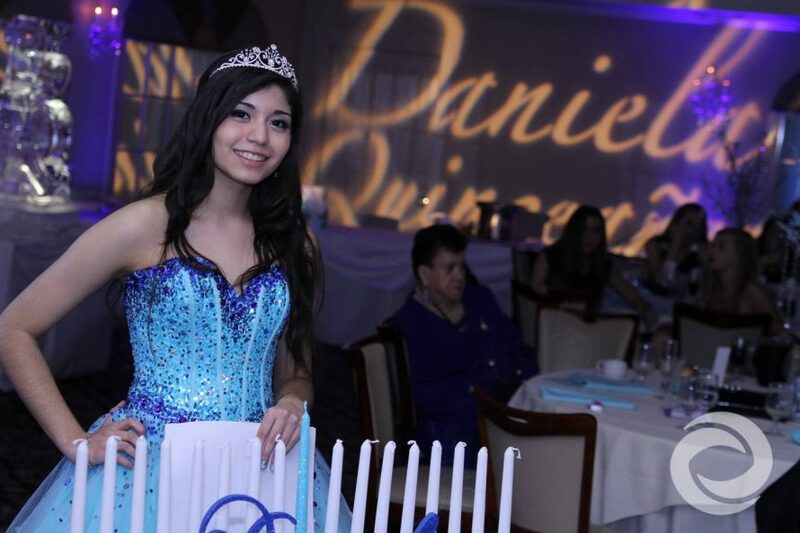 The screens on Daniela's Quinceañera showcased a custom animation that mimicked the style of her invitation. Music videos played on the screens during dance sets. 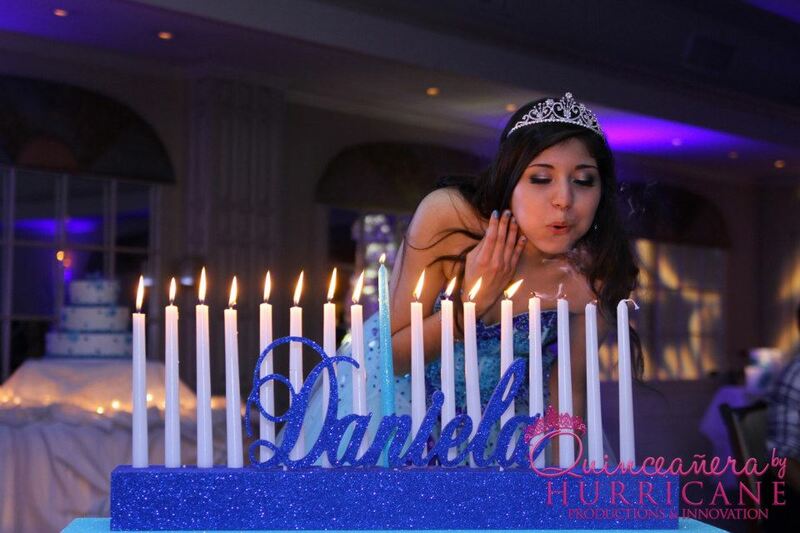 Photography for her Quinceañera included full event coverage by Hurricane's own professional photographers, family portraits before the event and next day Facebook photos. Hurricane Productions provides entertainment and event design for Quinceañeras and Sweet 16's. To find out more information visit the website or call 888.393.7066.